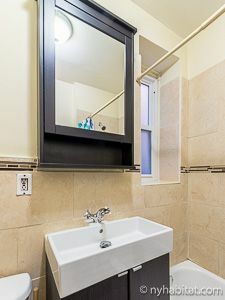 Welcome to Brooklyn! 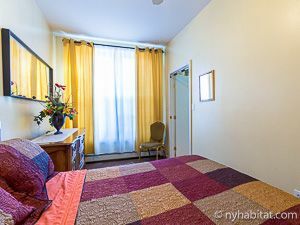 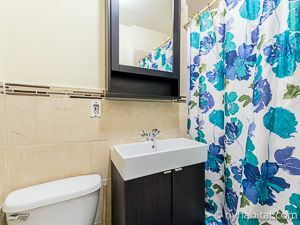 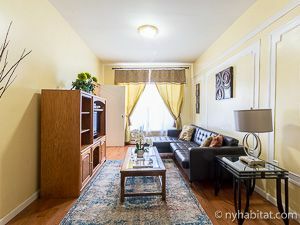 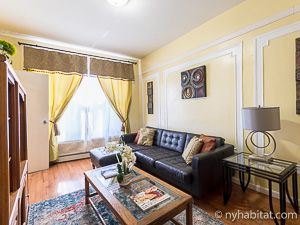 Neighboring Prospect Park, this 3-bedroom apartment in Flatbush is the perfect accommodation for travelers wishing to experience life as a Brooklynite, away from the touristy streets of Manhattan (though you may easily access Manhattan via subway). 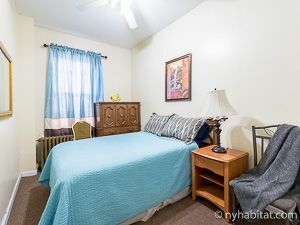 Sitting on Flatbush Avenue between Midwood and Rutland Avenues, the 3-bedroom furnished apartment is on the 2nd floor (considered 1st in Europe) of a 3-story 20th century walk-up building. 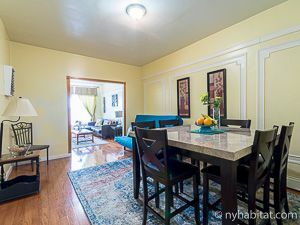 The elegant household features hard wood floors, contemporary amenities, and large windows allowing midday sun to naturally lighten up the space. 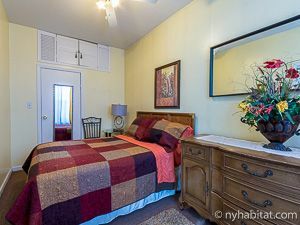 Bedroom 1 provides the most privacy on the northeast end of the home. 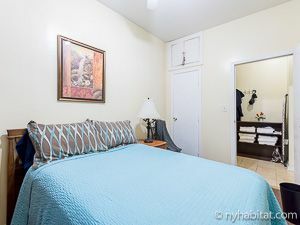 Bedrooms 2 and 3 are on the west-end. 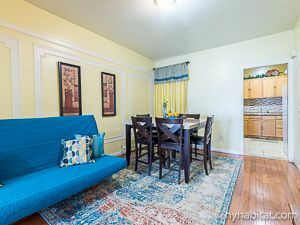 Modern artwork scatter neutral colored walls with white trim molding, and traditional area rugs lie under each table. 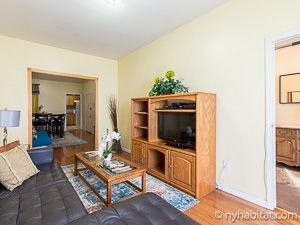 Accessories include a large sofa, flat-screen cable television, and a glass dining table for six. 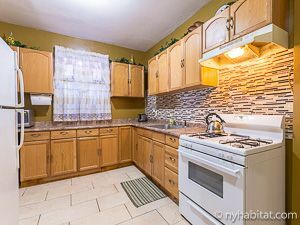 The fully equipped kitchen includes long granite countertops for easy preparation of exquisite French meals, and a window for ventilation. 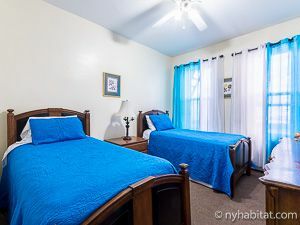 Each bedroom is furnished with the basics, including wooden dressers and large windows facing the streets (bedroom 1) or surrounding architecture (bedrooms 2 and 3). 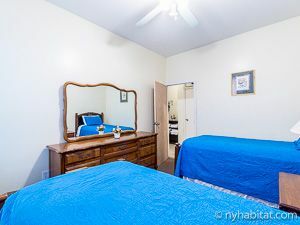 Bedroom1 and bedroom 3 provide a double bed; bedroom 2 includes two twin beds.